It'll happen, but I wouldn't hold your breath. Unlike other countries where they just need to add banks that support it, Germany's culture will need to affect change so that vendors want to accept it (which I'm sure you know). This always struck me as odd since NFC-basd payments seemed more efficient to use. 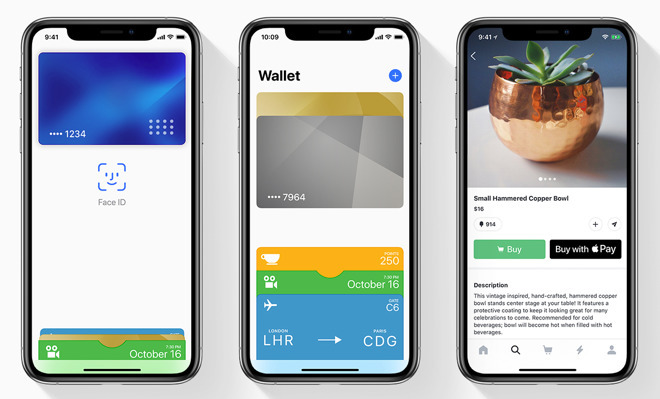 To make this work Apple doesn't need to get more banks on board. It is the still amazing number of POS venders who do not have the system working. A million free devices to the mom & pops would further Apple's biz more than signing 100 more banks. And how come that Home Depot STILL does not accept ApplePay ??!?!? Simple answer … because Home Depot has an agreement with Paypal. And Paypal does not like Apple Pay. Great to have all these smaller U.S. banks coming on board, but I'd like to hear about efforts to sign on bigger retailers like CVS, Home Depot, etc. CVS will be accepting NFC-based payments later this year. With the retailers, it's an independent process. According to last earnjng’s call:this year. Btw: that’s lots of contracts to negotiate. I rarely use Apple Pay. One major problem I have is that I have two cards issued from the same bank. This means that in the wallet they look identical. I need to know which one I am using, but Wallet does not allow you to label the cards and I can never remember the last 4 digits. So I just reach for my actual wallet! I always assumed that would be an issue for that very reason. I figure the banks want their cards 'advertising as much for them as possible, or at least have some sort of colored tag that can be placed on the top or even a personalized name that shows up underneath it so their cheap advertising isn't obscured. One workaround would be to make the card that you use the most as your primary card and then remember the last 4 to that card so that it's always first so you know the other card is the other one. This would a little easier to remember. With physical cards I used to use a label maker to put on which cards had what points for various sales types until I learned them by heart. PS: Any chance your bank might have a way to send you a new card that will look different so you can avoid this problem all together or even a way to push a card look change from their end? Will that even be useful to most Germans? Based on what I've read it'll worse than the US when it came to Apple Pay, but at least we still excepted cards everywhere. If all that is accurate then it might be an interesting cultural change to get Apple Pay desired and popular because it means on the onset it'll basically be banks supporting the service which will then really only be useful outside of Germany. Which, is a pretty good thing since it's more secure when you're traveling and very convenient, so I would love to see reports that Germany has made fast strides to stop using cash in favor of NFC-based payments because of a large demand by Germanys that frequently travel across the borders and want the same level of convenience and security back home. I must be missing something here. Just pick one and use it for Apple Pay, use the other for places that don't accept Apple Pay (or when you don't want to use it). In my case, I could put one on my iPhone and the other on my Watch (which would be -- and is -- the one I use all the time). I’m not positive but I’m pretty sure that some issuers who have different looking cards carry that different look over to Wallet. However, my wife and I have different looking physical cards from the same bank but they both look exactly the same in Wallet (except for the 4 digits, obviously). It’s a small, fairly local bank, and I’m just happy they’re supporting it. 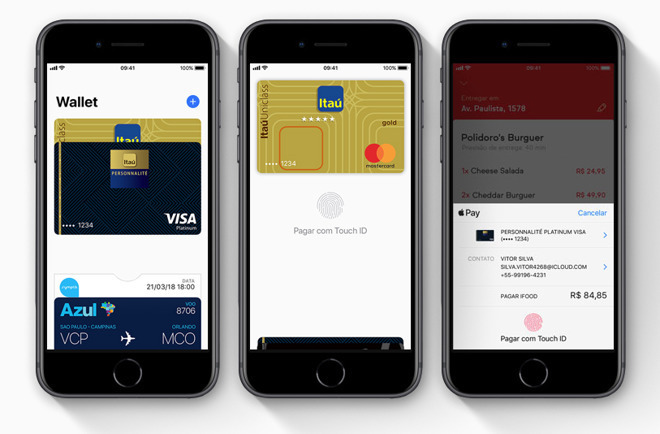 It seems like there are some relatively simple solutions you could employ to enjoy the speed, simplicity and security of Apple Pay over using your physical card. Cool. It'd be nice to see that list by country, but not by date, in addition to how it's broken down by date. You forgot Walmart. They are still trying to force their payment system on people. CVS and Home Depot were big supporters of the never-launched CurrentC as I recall. In my opinion there are two reasons some retailers don’t like NFC systems like Pay. First, they have little to no access to customer data from credit cards becasue of the advanced security. Second, they don’t want to pay yet another processing fee to a middleman like Apple. A personal friend of mine ran a local pharmacy. He had the credit card terminal that supported NFC but he never activated it. I asked him once why and he said the fees involved were prohibitive for him. First, the terminal supplier wanted extra monthly fees for activating the NFC feature. Second, the transaction fees were in addition to standard credit card fees. He felt he just couldn’t justify the additional expenses for a relatively few customers who wanted to use NFC. When it comes to any payment system the retailer is hounded with fees from everywhere in the transaction chain. The bank gets its cut, Apple gets its cut, MasterCard or Visa gets their cut, etc. Where I live we have a number of independent restaurants and ice cream shops that accept only cash and have a third party ATM machine near the door so the customer gets to pay the fees and the owner gets a cut from the ATM supplier. I have two card on my Watch and in my Phone. I have never used the phone for Apple Pay, only my Watch. The cards are from two different sources and are two different colors. However one thing I've noticed is the Watch considers one card my default card for AP, and it's always the first one that shows when double-tapping the side button on the Watch. When when the Watch displays it as 'Ready', two white dots are also displayed underneath. Swiping left displays my second card. I presume this occurred because the first card is also the card I use in my iTunes account. 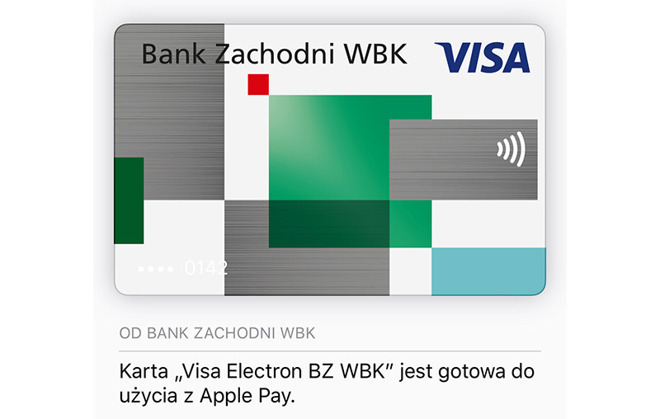 I've never had an occasion where my second card showed first when activating PAY. Even if it did, and both were the same color, the dots below would show me it's my second choice card, not the first. If I set up two different cards without one of them being my iTunes card, very likely one would still be the default, and one would be the optional choice. The order is probably dependent on which one is entered first and would be simple to verify. Enter your preferred card first, your backup (or whatever makes it second choice) last. The preferred card will be the default and always occupy the left most position. Color will make no difference and no need to remember any numbers. This should be very easy to verify by anyone concerned and or confused by cards of the same color, again, without the need to memorize numbers. Good points about how easy it is to identify different but similar cards. One can change the default card by going to Settings>Wallet & Apple Pay. At the bottom of that page is the Transaction Defaults category where it is possible to set which card will be the first displayed. Giving away devices isn't the solution. Its the retailer's backend that is holding down retail adoption. When the card reader manufacturers include backend support with the purchase of the device retail adoption will zoom.